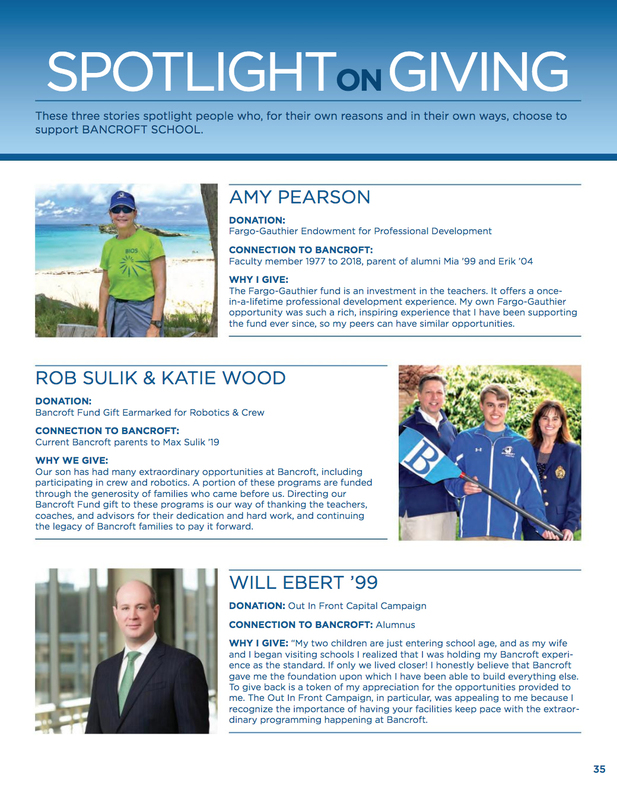 These three donors tell us why they give to Bancroft School. Click on the image below to read each of their stories. 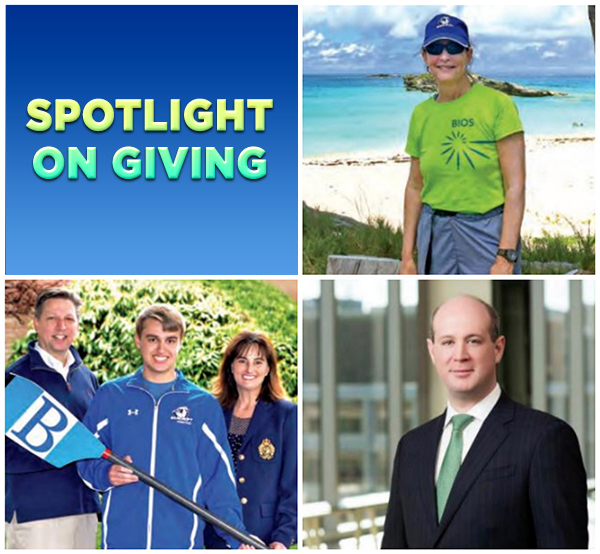 Top right: Amy Pearson, bottom left: Rob Sulik & Katie Wood, bottom right: Will Ebert '99.